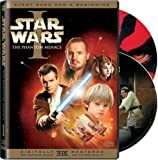 Providing a beginning story to the Star Wars series, Star Wars: Episode I: The Phantom Menace (1999) tells the story of a young Anakin Skywalker (Jake Lloyd) long before he became Darth Vader. 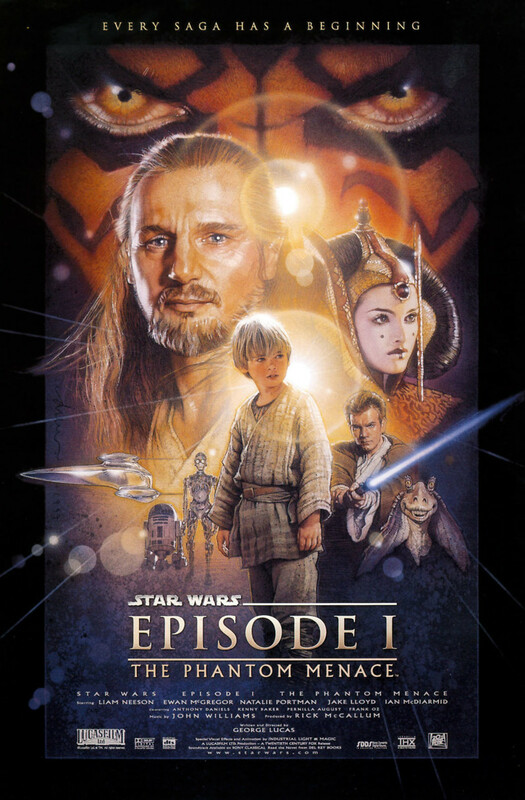 Jedi Master Qui-Gon Jinn (Liam Neeson) and Obi-Wan Kenobi (Ewan McGregor) are on a mission to protect a newly introduced Queen Amidala (Natalie Portman). The queen is on a mission to the planet Coruscant to seek a peaceful resolution to an interplanetary trade dispute. Anakin is portrayed as a slave boy who is also a gifted pilot and engineer, having created C-3PO to help with household chores he's assigned to perform. 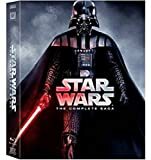 New characters introduced include Mace Windu (Samuel L. Jackson), Darth Maul (Ray Park) and Jar Jar Binks (voiced by Ahmed Best).